The Mexico City Open begins tomorrow! Gears, Gears and more Gears!! We’re headed back to Mexico City for three days of intense esports action. We love our fans in Mexico and they bring nothing but pure passion and electricity to the event’s atmosphere. Trust us when we say you’ll feel it even when you’re watching from home! 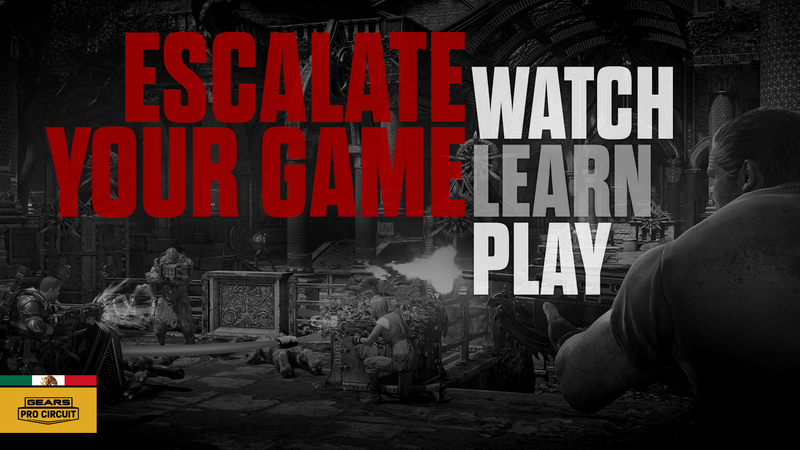 Gears Esports is not just great entertainment, but a great way to learn from the best and apply it to your game. If you haven’t ever watched a Gears Esports event yet, there’s no better event to choose – and you might even up your skills in the process. 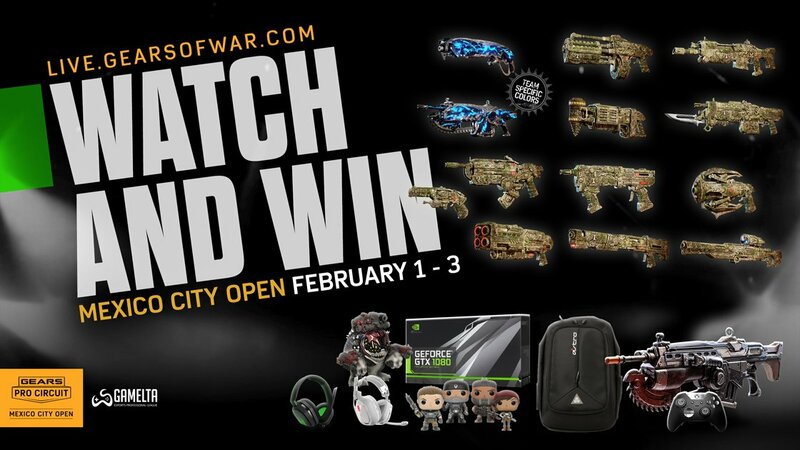 Not only that, but as always, we’re coming packed with free weapon skins to claim just by watching all weekend. 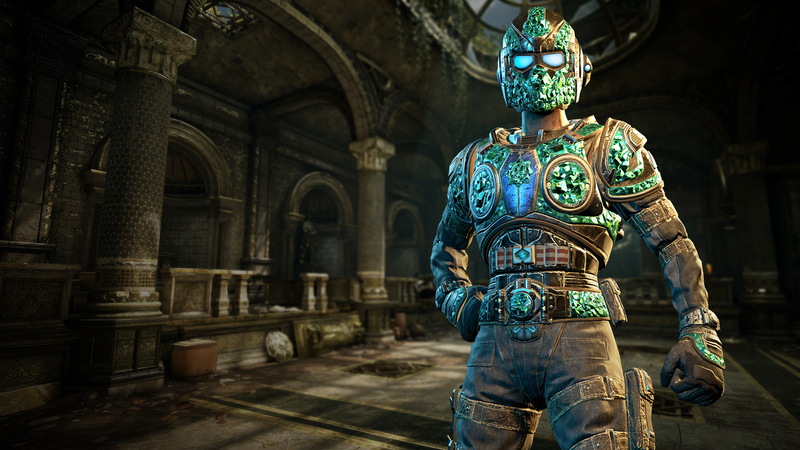 Want to get your hands on more of those sweet Aztec Weapon Skin set? How about the animated Team Glow Lancer and Gnasher? Tune in, pick up your weapon skins, rock em on the battlefield. Simple. Tune in live all weekend at live.gearsofwar.com. If you’re headed to the event, come say hi! Another Gears Pro Circuit Event means another opportunity to watch and learn from the best, and then put your newly learned skills to the test in Escalation! Get 4XP in both Escalation and the limited-time Core Escalation playlist until Friday 8th February. If you’re on the hunt for your various Season 5 Rewards or highest placements, there’s a few dates you should mark in your calendar that are coming up fast. If you have rewards to claim, please claim them before the Season ends on February 12th at GearsofWar.com/My-Rewards. After the Season ends, claiming rewards for any placement based unlocks will be disabled until Season 5 stats are available on GearsofWar.com. Our next Horde Event has entered the Public Playlist rotation – Trackerball is back! On top of a metric ton of Shock Trackers, we’ve also souped up the power of your melee kick to send those little suckers flying. It’s madness, it’s 25 waves, and it’s a ton of fun. 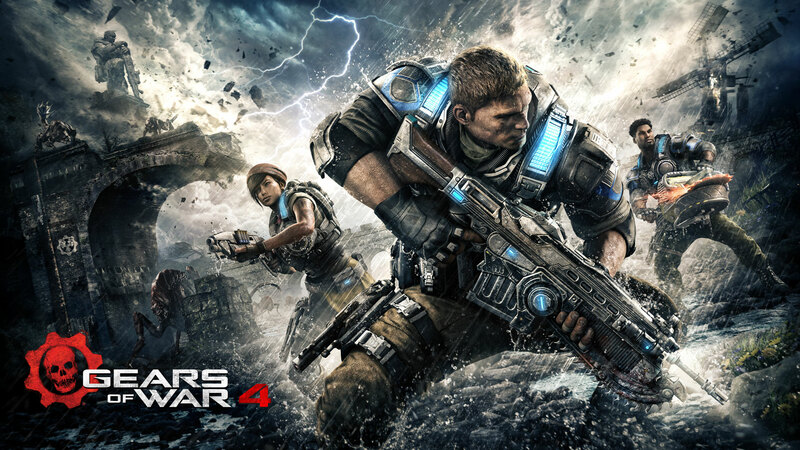 If you haven’t jumped in to Gears of War 4 yet, you can play for FREE this weekend with Xbox Live Gold's Free Play Days! If you’re an Xbox Live Gold Member, you can download the full game - with no limitations - RIGHT NOW and play as much as you want until February 3rd at 11:59pm PT. Pretty awesome! 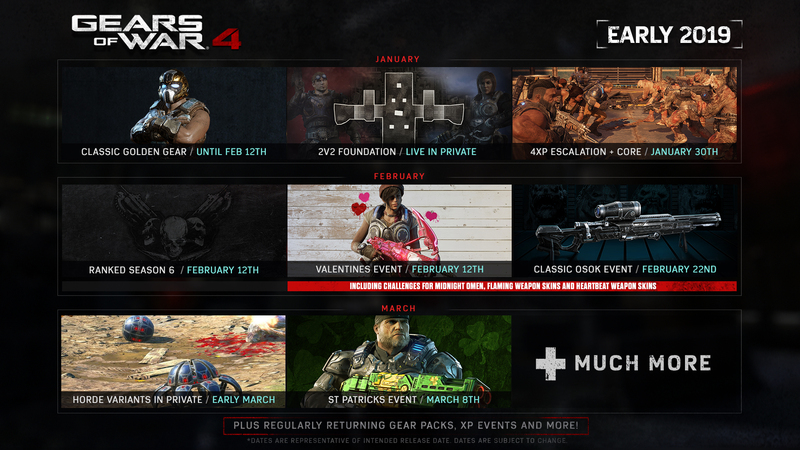 In case you missed it, here's a look at some of the big milestone events to come in Gears 4 in Early 2019. Introducing, Dezonide: “Dezo” hit the Gears competitive scene a while back and has become one of the most well-knownand talented Latin American pro player. A constant presence in the Gears Pro Circuit, Dezonide has joined his old teammates on a newly formed Ghost Gaming roster as they look to take home the trophy in front of their home crowd. In his channel, viewers can live again some intense matches, from the perspective of a pro player. Check out some other great videos on his YouTube and Twitch channels. You can also keep in touch with him on Twitter. Join us tomorrow Friday February 1 for our Gears Weekly Live Stream LIVE from Gears Pro Circuit in Mexico City at ~10am PT/ ~1pm ET. We will be playing 2v2 showdowns with special guests on Foundation Mid, answering your questions and giving away the Canadian Omen Hammerburst skin for free!